Persistent and complex health issues such as obesity, rising healthcare costs and growing health disparities are the perfectly predictable outcomes of the systems we have consciously and unconsciously designed. Design thinking has the potential to supplement much of current research, practice and innovation through empathetic engagement, radical collaboration and rapid prototyping. Participants will explore how these concepts might be applied in anti-hunger organizations. The Colorado Blueprint to End Hunger is a multi-year plan to end hunger for all Coloradans. It was developed, with funding from the Colorado Health Foundation, by individuals and organizations from across the state who are working on or experiencing hunger in their own homes and communities. Participants will learn about the rationale and process for creating the plan as well as key elements of the plan such as boosting participation in Federal Child Nutrition programs and expanding the number of Coloradans who can access the food they need through community-based organizations. About 22 million children eat free or reduced-price lunches in the school year. During the summer months, that figure plunges to fewer than 4 million children participating in the federally sponsored summer meals programs. To broaden access, No Kid Hungry (NKH) ran an innovation pilot in 2017 where individual homes served as meal sites in a rural community that had no other meal options. That same summer, Hunger Impact Partners launched Summer Eats Minnesota, a mobile phone app that helped parents and children find the nearest site for free summer food. Attend this workshop to hear how these innovative outreach initiatives worked and how to adopt similar models for your communities. Social services are crucial, but service provision alone is insufficient to address root causes of those suffering. Building Movement Project and Appetite for Change will offer a framework for exploring the range of ways that social service organizations integrate their social change principles into their everyday work. The workshop will guide participants through an assessment of their organization’s activities. Attendees will engage with peer practitioners about how they navigate common challenges and will consider aspirational organizational activities and map out possible next steps. Attendees will leave with tangible resources for integrating meaningful constituent engagement, wherever they may be in the process of advancing progressive social change. 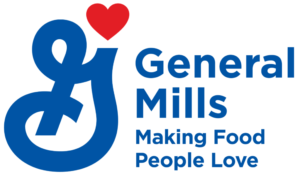 With the goal of creating a thriving healthy food sector economy, the Greater Twin Cities United Way made a major investment in Full Lives, a neighborhood-based comprehensive food sector approach to community and economic development. Representatives from participating organizations will discuss the benefits of this interdependent approach and participants will gain a deeper understanding of the Full Lives model which includes cultivating collaboration with other community organizations, developing partnerships and supporting a common agenda. Tee McClenty, Project Manager, CPPM, NorthPoint Health & Wellness Center, Inc. The best solution to hunger for most people is a good job. But the economy has undergone profound changes in the last several decades and the incomes of all but a small percentage of families in the United States have been stagnant for a generation. This session will explore wage trends, a study of Minneapolis’s new wage ordinance, what Hunger Free Community Coalitions can do to promote employment and policy recommendations from Bread for the World Institute to improve the job prospects of low-income workers. Hunger Free Oklahoma created SNAP in Schools to increase SNAP participation among eligible families of school children. Schools are an ideal location to promote SNAP and assist with the SNAP application process. Participants will learn about a new system and curriculum designed to train school staff to engage in SNAP education and enroll people through a newly available online application. In addition, Second Harvest Heartland will share information about their efforts to raise awareness about the availability of SNAP benefits as well as assist with SNAP screening and enrollment. Participants looking to start or strengthen a coalition will receive a framework and guideposts for developing and sustaining strong and impactful Hunger Free Community Coalitions. Based on the successful work of Texas Hunger Initiative, participants will learn about nine best practices. Each best practice area will feature a case study showing the value of the best practice for coalitions or the dangers of not meeting it. This workshop will focus on community initiatives that present solutions to the limited access of fresh, healthy and affordable foods in underserved neighborhoods. The panelists will highlight the successful development of a self-sustaining non-profit grocery store emphasizing community health; a mobile market or grocery store on wheels developed to fill the gap between food shelves and full-service supermarkets; and an organization in the early stages of developing a grocery store co-op. Learn about each social enterprise model, their case for support, cross-sector partnerships and transformational leadership. Hear first-hand about corporate and community partnerships that support investments that address local food insecurity and drive economic vitality in low-income communities. Understanding existing community assets and strengths is a key activity for coalitions to lay the groundwork for the development of impactful collaborative activities. Texas Hunger Initiative will share the tools used in implementing the different components of a multi-pronged community assessment, including a windshield survey and community listening sessions. Participants will learn from a case study in Bastrop County, Texas. Participants will learn about the Community Eligibility Provision (CEP) which is a way for high-poverty schools and school districts in low-income areas to provide breakfast and lunch at no charge to all enrolled students without collecting household applications. The Lunch 4 Learning Campaign case study will showcase the successful fight for universal meals for all 1.1 million public school students in New York City. Uniquely positioned, this campaign centered on the need to remove stigma for students and parents associated with receiving free meals. Participants will be introduced to the Self-Assessment Workbook (SAW), a tool to build the capacity of the Hunger Free Communities Network. The goal of the SAW is to assist a HFC coalition in determining the critical elements for effective organizational management, network functioning and to identify areas to strengthen or further develop. The SAW is designed to enable organizational learning, foster team sharing, and encourage reflective self-assessment within an anti-hunger coalition. It can be used for strategic planning, evaluation and building group cohesion. In addition, tools and strategies will be provided to enhance engagement and collaboration through a principled engagement approach. Learn about two innovative programs that address healthy food and positive health outcomes, FoodRx and SuperShelf. FoodRx is a successful and scalable model of connecting patients, food and healthcare in Minnesota. The program connects food prescriptions and basic need services to low-income patients through the Minnesota health care system. SuperShelf, which transforms food shelves to bring good food to all, is aligned with HEAL’s mission to promote health equity. The HEAL Center focuses on healthy eating and activity across the lifespan to address weight-related health disparities through the integration of research, clinical practice, policy and community resources to help create a culture of health for all. Collective impact is a framework for bringing people together to achieve social change and solve some of our most challenging issues, like hunger. At their best, Hunger Free Community coalitions incorporate the five conditions for collective impact success: common agenda, shared measurement systems, mutually reinforcing activities, continuous communication and backbone support. 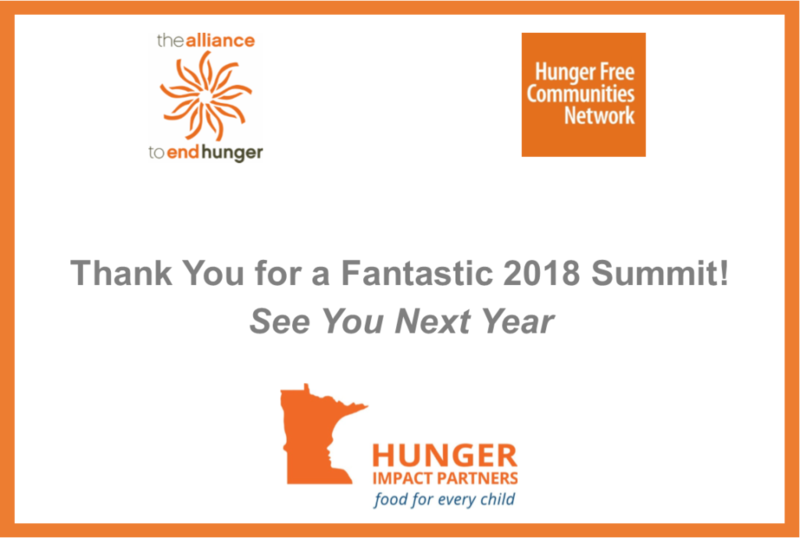 Learn about success collective impact campaigns, including Hunger Free Minnesota and how you can incorporate collective impact approaches in your work. 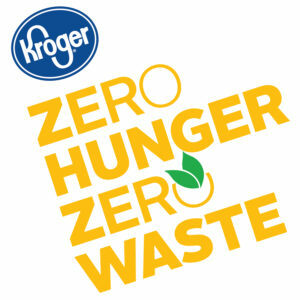 Despite the importance of school breakfast, participation in this program is low relative to the school lunch program. Being cognizant of this, a number of states are implementing innovative policies and strategies to increase participation in and access to the School Breakfast Program (SBP). Participants will learn about effective Breakfast After the Bell (BAB) models, policies, implementation efforts and best practices to increase participation in the SBP and address child hunger and food insecurity. Examples will include two states, Nevada and Illinois, to illustrate recent BAB legislative efforts. The session will also include an overview of Project BreakFAST, a University of Minnesota 4-year NIH funded evaluation of expanded breakfast programs in 16 Minnesota High Schools. Results from the study will be shared, focusing on the success of using second chance breakfast to increase participation. Additionally, lessons learned, key strategies, and the Project BreakFAST toolkit will be shared. The Academy of Nutrition and Dietetics has created and field-tested a Facilitation Guide designed to assist coalitions in the process of prioritizing community-based food security interventions. Participants will learn how the prioritization process can be utilized in their settings based on the characteristics of their coalitions and communities. One of the pilot sites in Northbrook, IL will share their experience and tips for communities interested in utilizing the process. Workshop includes an interactive activity to allow participants to create action items relevant to addressing food security in their Hunger Free Communities.